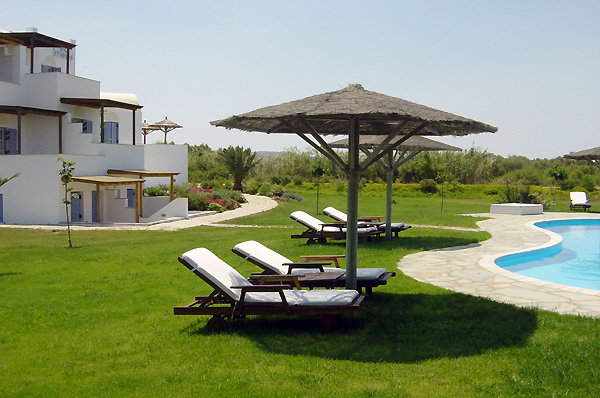 The Ammos is situated in a privileged location in Naxos island. 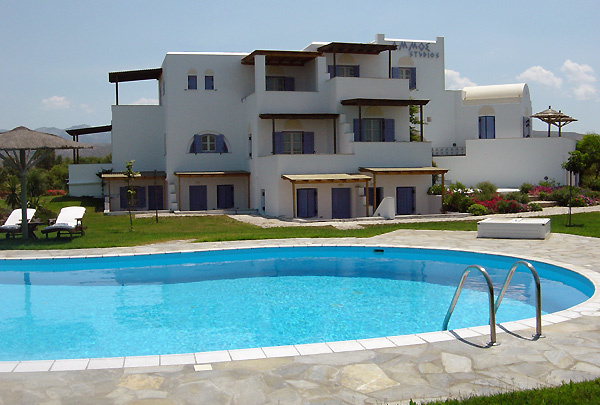 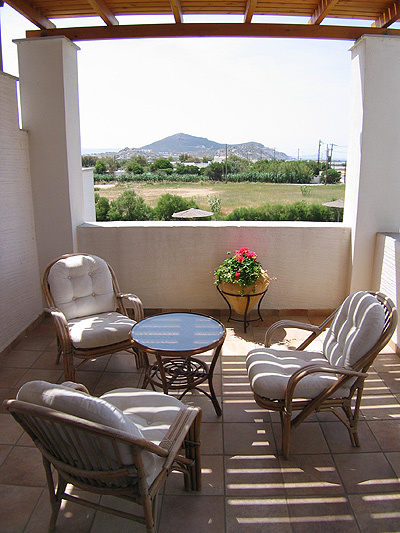 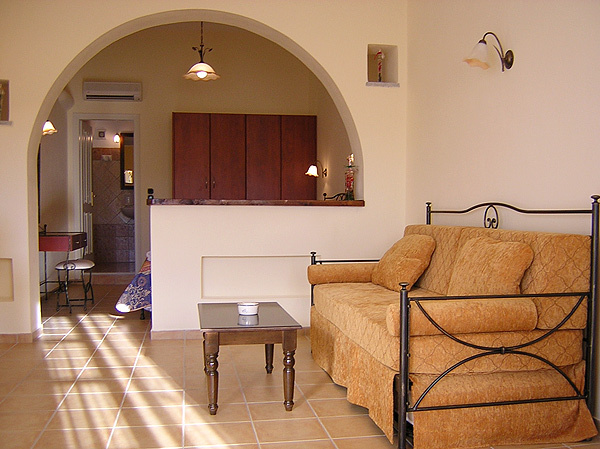 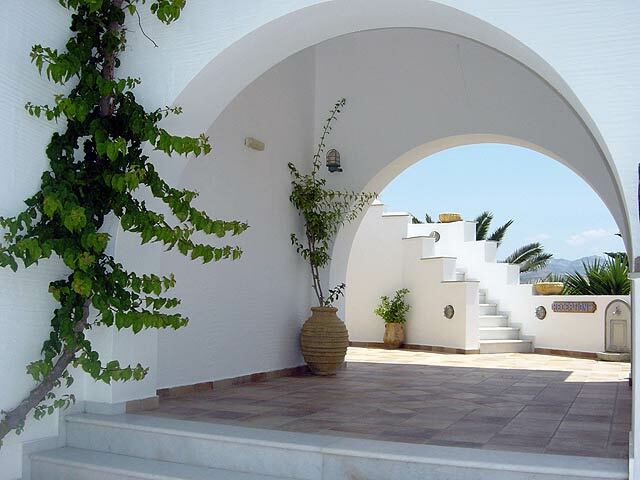 It is a complex of well – designed and decorated studios with great view to the Aegean sea. 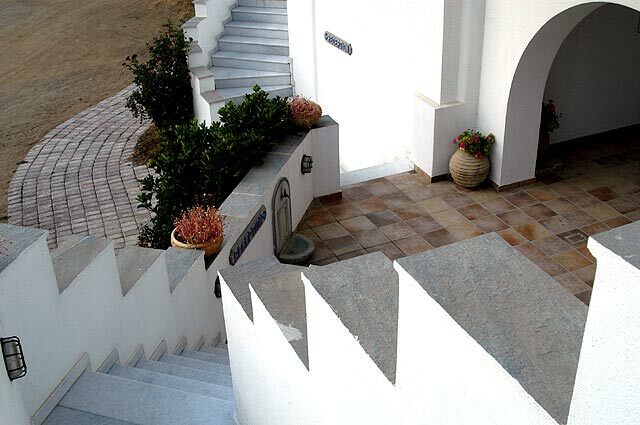 They were built in 1998 according to the traditional architecture of Cyclades islands in order to blend with the natural landscape. 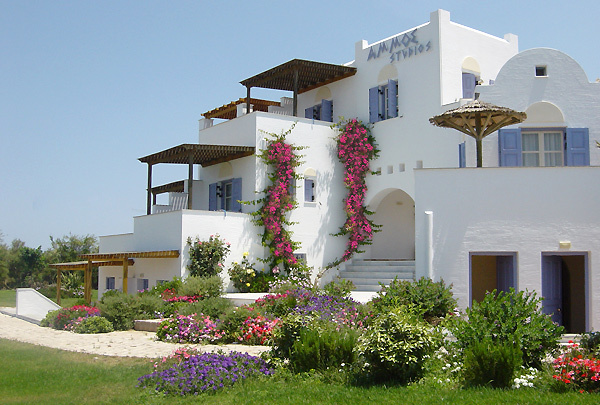 Situated in the middle of a field, Ammos Studios offer the great view of the sea in front and the peaceful view of the mountains and the small villages from the back side. 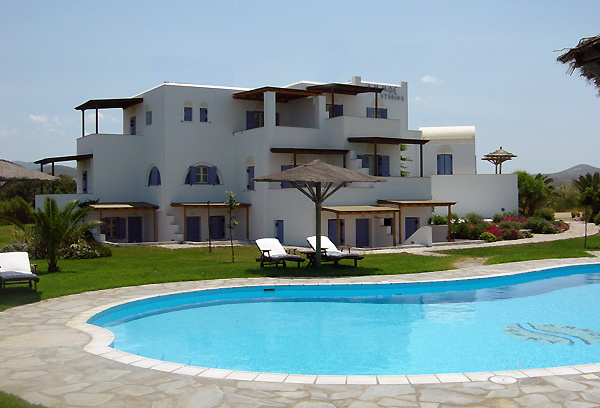 The guests of Ammos Studios can relax at the swimming pool and enjoy their breakfast gazing at the most spectacular sea view in the whole island. 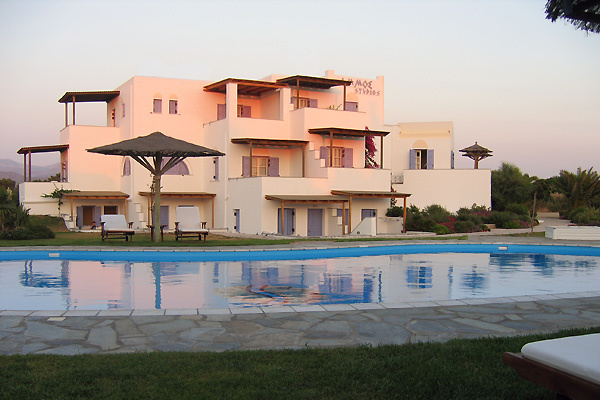 We offer several guest services such as: car and bike rental, fax service, Internet access, Transfer Service from/to the airport/port, Parking space. 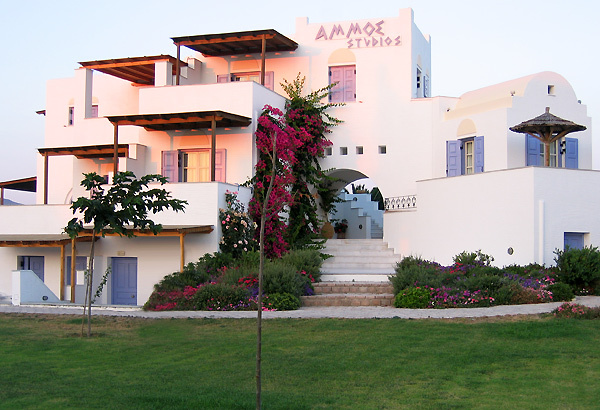 Pets are allowed at Ammos Studios. 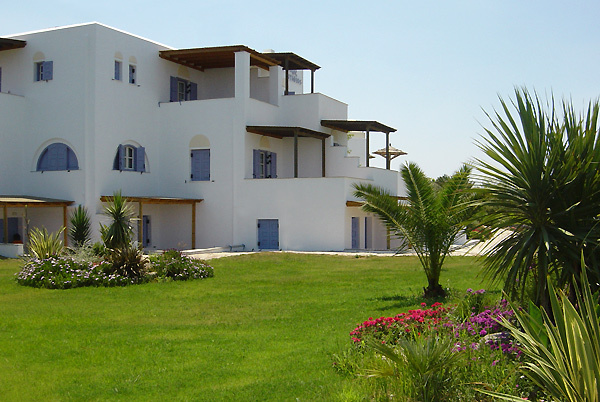 In an ambience of hospitality and homeliness, the friendly and experienced personnel will help you have the most memorable holidays. 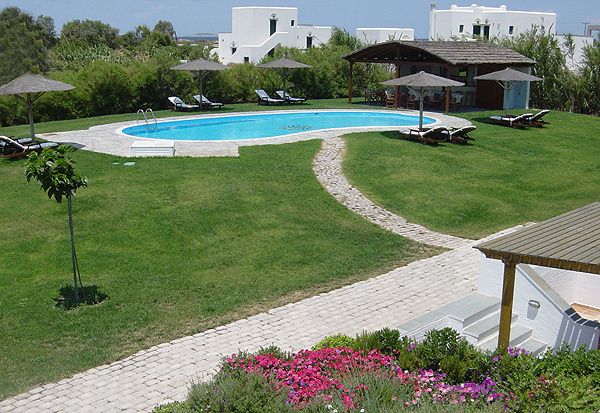 We will make sure all our guests are pleased and leave the island with the best of impressions. 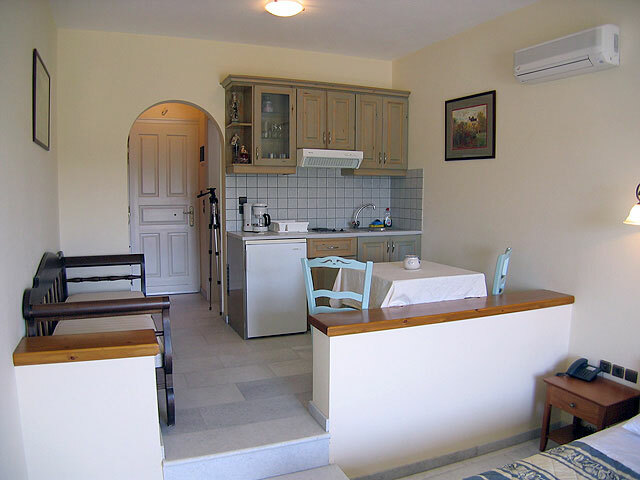 The studios are situated in Agios Arsenios, a beautiful village, 8 km south of Chora. 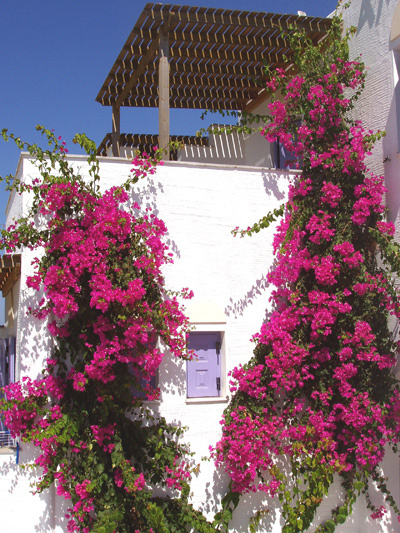 It has small, cubic houses, narrow cobblestone paths and long, sandy beaches. 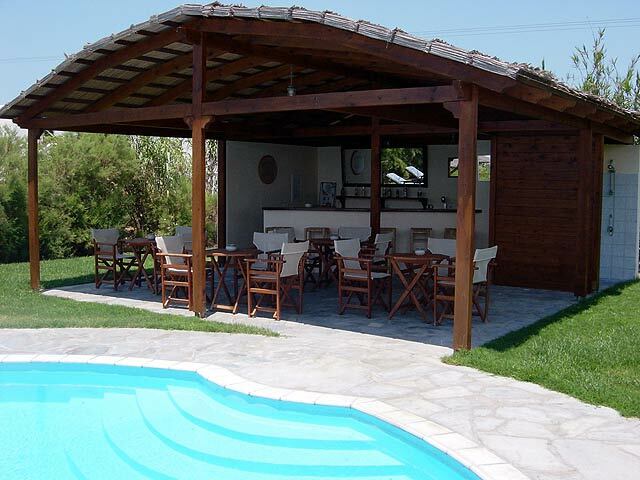 You will be dazzled by the beach of Agios Prokopios, an organized beach with all the facilities for water sports.